SysMaster’s Tornado M30 is a dual-mode GSM/WiFi device that ties together WLAN and GSM technologies in a single device for more efficient access to voice and data networks. Within WLAN networks, Tornado M30 can be utilized as a SIP softphone, allowing users to make cost-effective voice calls over the Internet. Within GSM networks, the device can be used as a regular mobile phone, with tri-band support. 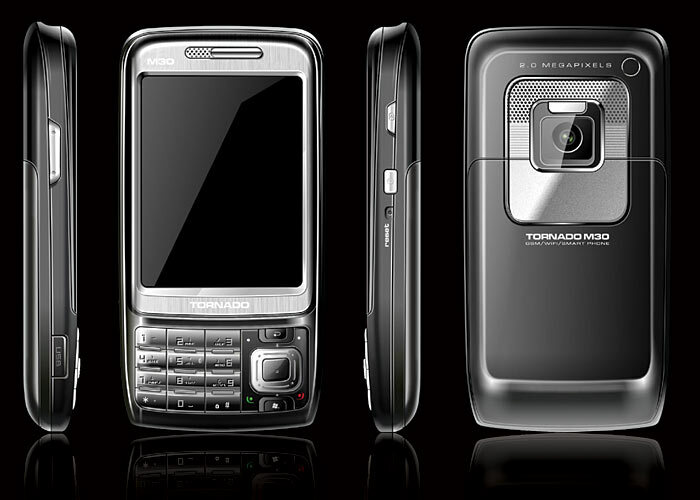 Tornado M30 features 2.8” touch screen LCD display and keypad compliant with the Windows Mobile standard. The product can exchange data via its Bluetooth 1.2 and USB 2.0 interfaces. Tornado M30 utilizes the Windows Mobile 6.0 operating system which further expands its usability and functionality. With built in support for email, chat, and web browsing on a Windows Mobile platform, users can access the Internet, check their emails, listen to music, view pictures and more.